Dad chose his friend and colleague Rev Wes Blakey to write his obituary for the Methodist Conference. The family is thankful to Wes for performing this service and for allowing us to publish it on the blog. I’ve done so today, because it would have been Dad’s 86th birthday. JOHN GORDON MITCHELL was born in Greenock, Renfrewshire, on 3rd July 1929, the eldest of four children of John and Annie, and baptized in the Church of Scotland where he attended Sunday School and the Life Boys. In war-time he went with school friends to Salvation Army and played baritone and trombone in Junior Band and later went with one of his sisters to the Junior Christian Endeavour in Roxburgh Street Methodist Church. His time at the Methodist Church had a profound influence upon John, where he became a member of the Sunday School, Youth Fellowship, and Lance Corporal in the Boys Brigade leading a regular Bible Class in the latter. Here, the ministry of Rev Ivor Seeley was a huge influence upon the young John. On John’s 14th birthday he left school and began work for meagre wages and long hours on a farm in Kilmalcolm, which left no time for church or much else. Two years later he returned home and eventually gained an engineering apprenticeship. He was able then to return to Roxburgh Street Church where he was immediately welcomed back and was active again in Youth Club, Youth Fellowship and became Sunday School Superintendent. Following a call to preach he became Fully Accredited in 1949 and then went on to answer a call to ordained ministry and, when accepted in 1950, began his studies at Wesley College Headingley. John’s love of sport continued through his 3 years of college, becoming the football team’s goalkeeper, and in 3rd year he was team captain and General Sports Secretary. During his candidating process a friendship grew between John and Chris, who was a member at Ardgowan Methodist Church, Greenock but, as was the custom then, marriage had to wait until August 1956 after ordination. That began a strong and loving partnership of mutual support which enriched John’s ministry in every respect. John served in North of Scotland Mission 1953-56; Haltwhistle 1956-62; Sunderland North 1962-68; Newcastle Mission 1968-73 ; Consett 1973-80. In the latter two he served as superintendent and in 1980 was appointed as Chairman of Newcastle upon Tyne District. During these years he held many District and Connexional roles ~ both Assistant Synod Secretary and then Synod Secretary; and both times of the Methodist Conference being held in Newcastle in his ministry he was very involved as Assistant Secretary then Chairman of the Arrangements Committee. John and Chris’s daughters Anabel and Elspeth were both born in Haltwhistle, and ultimately they were to introduce sons-in-law John and Winston and then granddaughters Harriet and Cassie; he took great delight in them all, each adding a joyous dimension to his life. Above all else, John was an excellent pastor, always approachable and, no matter how busy he was, he made time for people. He was blessed with an astonishingly good memory for names and details about people, and in any gathering – Church, Circuit or District – he consequently knew the people with whom he was meeting and could tell almost to the minute when some ministers were going to sneak out of Synod, thinking they had missed his eye. Sometimes a conversation with them in the following days would kindly remind them that he knew! His preparation for meetings was immaculate, and always began with prepared devotions that were thoughtful, helpful and set the right spirit for that which lay ahead, many of which he recorded in his book First on The Agenda which inspired many of his peers and those he ‘took under his wing’. Throughout his ministry, his administration and business acumen enhanced each meeting and led the church wisely and well. John’s leading of worship and preaching was inspirational and never skirted around thorny issues, even his rocking backwards and forwards on his toes and using some lesser known Scottish phrases, endeared him more to his congregations and made his words even more memorable. When he decided he would not lead public worship any longer he started to write his blog, where his pearls of wisdom and rich experiences continued to inspire. Throughout all he was a great ecumenist, working well with church leaders to bring about better understanding and closer working between denominations. As a District Chairman he made a huge contribution to the Connexional scene in many ways, but always stressed he was a minister of the people and that was paramount. A man of many parts, who loved and was loved by his family; respected and admired by his colleagues for his support, which was second to none, and his immense quiet wisdom. Tidy to the last, he died on the last day of the quarter having finished his blog, the last post in a trilogy, between watching the Scottish and English Cup finals on TV the day before. He died on 31st May 2015 in the eighty-sixth year of his age and the sixty-second year of his ministry. This entry was posted in Church leaders, John Mitchell and tagged John Mitchell, Obituary on July 3, 2015 by Anabel @ The Glasgow Gallivanter. It is with great sadness that I have to tell you that John Mitchell, my father, died suddenly on 31st May. He had sent me his last blog post the previous day, the third in a trilogy on conversion, which I am now publishing below in his memory. The regular reader of this blog will be alert to the fact that the last two editions have pondered over two of three aspects of Christian conversion. It follows this must be the third and final presentation of our chosen topic – a matter of relevance and significance in the undergirding of our evangelism. There are three conversions to a Christian man or woman’s life. First, to Christ, then to the Church and then back to the world. Or, put another way, there are three ways in which an alleged conversion may be incomplete and imperfect. This exercise introduces itself thus: a conversion is incomplete if it does not leave us with a sense of overwhelming responsibility for the world. The sisters and brothers we are bidden to strengthen and support are both outwith the church and within. A temptation for the church is for us to become a holy huddle, cosying up to one another for warmth. Yes! I know! I know! I have pleaded in the second post on this theme for us to create the warmth of a loving, caring fellowship. At the same time, a church must never become a closed shop, drawing its blinds to the world outside; lost in praise and prayer; connoisseurs of preaching and liturgy; busy congratulating itself on the excellence of its Christian experience and Christian fellowship. Although in recent years the church has accepted its responsibility to serve the present age, sadly in my view there are still some Christian folk who see the church’s sole role as securing the soul a space in heaven. The name Bob Holman may be a familiar one to some if your newspaper is the Herald or the Guardian. There was a time when he regularly wrote for both those newspapers. Although not all of his readers always agreed with him, his columns were popular as they were stimulating and challenging. I may be wrong but I would credit him as an ardent, evangelical Christian by conviction, with a strong measure of socialism surging through his veins. What is more, he practised what he preached. He was a professor at Bath University, from which post he resigned to launch a community project among vulnerable residents in a deprived area of Bath. After ten years there, he and his wife moved to Easterhouse, a suburb of Glasgow with a reputation of deprivation and its accompanying social problems, and there he became associated in the social and community ministry of the pastor of the Baptist Church he attended. He not only worked in this greatly disadvantaged and much publicised community, he lived there, side by side with his neighbours, identifying with them, helping in their personal and family crises, supporting and encouraging them when they were in conflict with the authorities. And in between, he wrote to newspaper editors and politicians on matters of political concern or social injustice, championing the cause of the poor and inadequate. I have on my shelves a book by Bob Holman entitled Ordinary Christians. He writes: For nearly fifty years, everywhere that I go God gives me friends, ordinary people with whom I feel comfortable, whom I care for and who care for me. The book tells the stories of twelve ordinary people who became Christians and shows that God still calls such people to serve Him. Like Bron, a converted agnostic, who, in spite of personal difficulties and disappointments, raised funds, supported and visited as a volunteer a ministry in El Salvador. Even in her fifties and in retirement she lived frugally and bought all her clothes from charity shops. She said: As a socialist I gave 10% of my salary, as an Anglican I gave 30%, when I became a Catholic I thought it should be all for the Lord. The stories of the others are similar, converts to Christianity, joining the church, sustained by the fellowship and following in the footsteps of the Lord, loving, caring and working for those who are among the world’s born-losers.’ Converted to new life; converted to serve; back to the world. A worthy response to the Good News of Jesus. This entry was posted in Church leaders, John Mitchell and tagged Bob Holman, Conversion, Mission on June 10, 2015 by Anabel @ The Glasgow Gallivanter. When I was about to leave home for college I received a letter from a former minister of my home church in Greenock wishing me well, and offering a little helpful advice which I was to put to the test more than once over the years. There was no one quite like Rev Ivor P. Sealey so far as the lively members of the youth fellowship were concerned. I was one of them. He was equally popular with the older folk, although not all. There was the criticism that he spent too much of his time with the young people to the neglect of the older generation in the church. Well, as the saying goes, that one has hairs on it! It was not quite true, but I suspect many ministers of my generation have had to contend with this accusation. I had no thought of ministry when Mr Sealey was my pastor. Anyhow, I was too young – but what about Samuel the lad in the Temple (I hear you calling in the night). Nor had I any idea that I might be being groomed, quietly and carefully, to contemplate the irresistible challenge of becoming one of Mr Wesley’s preachers. Ivor did spend a considerable time with us ‘youngsters’. He took us on walks and outings in the summer and in the winter/spring a group of the lads gathered around him as we cheered and offered terrace advice to our favourite team. The referee also benefitted from our football wisdom. In time, I realised Mr Sealey had become a role model to me in the development and maintenance of my ministry. Allan Roberts was very different and, in my book, equally a role model. When I moved to Sunderland, three members of staff – I was one of them – resided on the same road and we saw a lot of each other. Allan, a senior minister about to retire, was more than a colleague of vast experience from which we benefitted. It was a privilege to have him as a friend. Allan would never have claimed to be more than a moderate performer in the pulpit, and he was probably right. That is not a criticism of the content of his sermons or his prayers. He followed faithfully the principles and practise of homiletics. In short, I think it can be said he would recognise his preaching as lacking in flair. In the time of our colleagueship, the fact is that Allan was able to hold together a fairly large and faithful congregation. No pretending it was his preaching that gathered them in. No – their minister simply radiated sincerity and humility, and how they loved him – as he loved them. And most importantly, he knew them and cared for them through thick and thin – a pastor with a big heart. First lesson? Both our properties had awkward chimneys, two right-angled bends and a flat flue ledge. No sweep would tackle it. I was informed by my esteemed neighbour that we did the job ourselves. He had the appropriate brushes. I needed some old clothes and a pair of sandshoes. All one needed to do was to get on to the tiled roof of the rear premises, use the brushes and collect and dispose of the soot from the chimney’s three apertures. Good job Lewis taught me all about it. I must have fallen asleep when we were given this lecture in College. Second lesson? I have concluded that those two worthies were thereby quietly preparing me to be a good and useful superintendent minister. Kenneth Waights and Mark Wesley Earl mean more to me as role models than they could ever imagine. When we became colleagues, and eventually friends, both were in their second appointments as Chairman of District. Each in turn was to be my Chairman, but two very different personalities. Of the ministerial encouragers and inspirers featured on this blog, those two may have made the greatest impact. I did not know it, they probably didn’t either, but their influence prepared me for a job that occupied the last fourteen years of my ministry. I needed all the help and encouragement there was to succeed Ken and Mark when they retired in a job I never expected to come my way. Kenneth Waights had flair, he was the loud and jolly one. This may be explained to some extent: he wanted to go on the stage before his call to become a minister like his father before him. Mark was quieter; contemplative; unassuming – a good sound preacher. For much of his ministry Ken was one of a group of ministers appointed to serve in Methodism’s great Central Halls with a reputation for popular preaching. On the other hand Mark, at great personal cost, saw his ministry in China and was interned for the duration by the Japanese. I was Assistant Secretary of the Synod in Ken’s time and Secretary in Mark’s day. So I was close to both and I watched, absorbed and learned. One thing I learned as I reflected on the encouragement and inspiration of so many of the saints was that they were concerned and active not only with things spiritual but – a word to clergy and other clerical gentlefolk – were also ready and willing to roll up their sleeves and physically graft side by side with the saints who do not wear the clerical collar. This entry was posted in Church leaders, Methodism, Organisations and tagged Ministry, Sunderland on November 26, 2014 by Anabel @ The Glasgow Gallivanter. In my recent posting (For All) I paid my personal tribute to the countless men and women to whom I shall be eternally grateful. By their encouragement, support and love, aware of it or not, they contributed in no small measure to the development and maturing of my 41 years of active ministry. As I concluded the piece, nostalgia refused to take a rest and pointed me in the direction of another group within the church of inspirers and encouragers – ministers appointed to an area of work with and alongside colleagues. My young daughter came home from school one day somewhat perturbed. She had been quizzed by the girls, “what does your Dad work at Monday to Saturday?” Or something similar! I can assure anyone who thinks of a minster of religion to be on to a good thing, as I was greeted once – “the one day in the week man”, it is not so. Believe me if that is the regard in which the ministry is held, God, forgive us! And In our situation active and honest colleagueship is absolutely vital. I went south for my first post-ordination appointment, from one beautiful part of the country to another – from the invigorating Moray Firth to historic Northumberland. (Got past Hadrian’s wall without passport!) This was a rural appointment and the super, Walter Thyne, and I cared for 14 chapels between us. I was indeed fortunate to be a colleague under the supervision of Mr Thyne (one did not address supers by first name in those days). Alas the partnership was only to last for 12 months, brief but beneficial. Walter was the kind of minister who was the salt of the Methodist’s ground! From the first day, Walter, a father figure, cared about me and quietly and humbly set an example to me to last a lifetime. In my first week two bicycles were produced and Walter conducted for me an interesting and informative tour of the terrain I was to travel many times over the six years. We saw a lot of each other, colleagueship made easier by the fact that we lived round the corner from one another, separated by the Newcastle-Carlisle railway line. Walter was a somewhat shy man, a gentleman, an excellent minister and personally a kind and generous mentor and friend. His daughter, Irene, known on occasion to read my blog, may be surprised to find her Dad featuring here, but he is remembered with affection and respect. This entry was posted in Church leaders, Methodism, Organisations and tagged Cullen, Findochty, Haltwhistle, Ministry, Moray Firth on November 12, 2014 by Anabel @ The Glasgow Gallivanter. On Sunday Christians of all branches of the church make their eager way to their favourite church, there to be joined by some of their best friends in a congregation come to participate in an act of worship. They would not miss it. Over the years, Sunday by Sunday, it has meant so much to them. Recharging their batteries, some would say. And so they came expectant that they would have a good sing – favourite hymns known and loved that warmed the heart; prayers couched in concern and love. And perhaps more likely they came hoping to be challenged, inspired, to hear a sermon that was both a revelation and relevant to their personal circumstances and need. They were seldom disappointed, their minister was a marvellous preacher. He knew what to say and how to say it. He could send them home with their batteries charged, faith refreshed, fears and doubts removed, and pointed them to the next step on their Christian journey. That is what they liked about their minister, he was nicely sure, always positive, left them in no doubt of where he stood and where the Lord was leading. All well and good but I suspect it not to be the whole story. I suspect there were days when some set off for home in a different frame of mind. When they went home from church thinking – it was a marvellous, informative and challenging message. Recalling the sermon, reluctantly and timorously they found themselves saying, I do not think I could subscribe to that statement. If only I could be sure! If only. I can feel uncomfortable in the company of the eternal optimist for whom life always seems to be going well. We have them in church, vociferous rather than tactful. Good folk, faithful and devoted to doing the will of God, but a testimony spoilt somewhat in the impression given that unlike some of us they have direct access to God: a hotline to heaven with all the answers to personal dilemmas, doubts and fears. One suspects that what is given as personal testimony is sometimes no more than an expression of personal indulgence. In their presence the if only disciple is vulnerable and feels his/her faith is decreed not big enough. There are occasions when we have no right even to contemplate to speak for God. I have heard some appalling (maybe well-intentioned) comments made at the side of a hospital bed, or a home where tragedy has struck. I have had to bite my tongue and leave any discussion about the Providence of God to another and more appropriate time. The more encouraging testimony is that which listens, questions and who can say no more than if only. If only I could be sure! There is no reason to consider ourselves to be inferior believers; no need to be ashamed. We are in good company. Dr Leslie Weatherhead, one of last century’s pulpit giants, who in his day brought many people to faith, towards the end of his ministry caused quite a stir in certain Christian circles when he wrote a book that described the inner turmoil with which he had to contend for most of his life. He called the book Christian Agnostic. I do not know about you, but I can identify with him. I too have doubts and questions, times when I am agnostic about aspects of faith and believing. How can we be sure about God? Maybe the high priests and prophets of new-age atheism have got something valid and authentic. If only – how can we be sure about God? It depends on what kind of assurance we want – if is logical proof or mathematical certainty we require, we are headed for disappointment. Studying for my preacher’s exams before being an accepted candidate for ordained ministry, I was introduced to what were known as Proofs for the existence of God. What were those proofs? The world of nature pointed to God. The moral order in the world directed our gaze to God. People’s universal hunger for the supernatural provided evidence for the existence of God. I cannot imagine being enlightened or converted by that kind of argument. Aids to our understanding God they may be, but they are by no means proof of his existence. 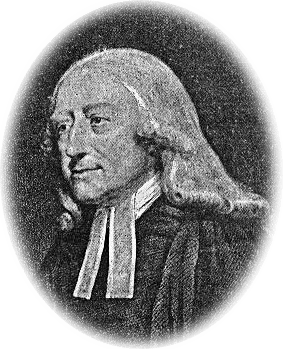 I have told the tale many times, and at least once on this blog, of John Wesley’s coming to an assurance, desperately wanted, yet sensing it could be denied him. Sailing home from Georgia an unsuccessful, distraught and unhappy clergyman, his ministry there a miserable failure and what faith remained in shreds, he was determined no longer to preach. How could he preach faith when he did not have it himself? On board ship as they headed home, Wesley became aware of a group of Moravian Christians. He was impressed by the way they lived the Christian life and practised the faith, and by their love and devotion to Christ. So much so, he resolved to seek help and counsel about his dilemma and spiritual crisis. It was the wise and saintly leader of the party who took John in hand. His counsel and encouragement to a broken man who yearned for faith and lost it: preach faith until you have faith. He did and I write this piece on the day 24th May (1738) we commemorate Wesley’s renewal and restoring experience and testimony: I felt my heart was strangely warmed and that I did trust Christ alone for salvation. How can I be sure of God in the bad times when it feels as though God has deserted us; days when we are heading away from his blessing and empowering grace? If only? It may not be a bad thing to conclude with Wesley – if only! Practise the life of faith until you have it. The proof we look for is in the living. This entry was posted in Church leaders, John Wesley and tagged Doubt, Faith, John Wesley, Leslie Weatherhead on May 28, 2014 by Anabel @ The Glasgow Gallivanter. I have never been so humiliated! Who hasn’t felt like that, sometime? How common the experience is, is reflected In the variety of ways we can describe our embarrassment – nonplussed; crestfallen; having to eat humble pie; looking foolish; feeling small; being red in the face! It can mean a loss of dignity – something we don’t much like – it hurts. When it is unwarranted it can be the cause of resentment. I am able to face anything through him who gives me strength. Philippians 4: 13. Life can be tough for us sometimes. People have no right to make us look foolish – they do! Unkind words cut to the core; cynical actions wound deeply; we let ourselves down. There are times when through ignorance or folly we have ended with egg on our face. Times when great has been our fall through the failure of well-intentioned but immodest ambition. It hurts…..
Do not despair, there was no greater humiliation than that which Jesus was required to suffer – spat upon; beaten; treated like a criminal; nailed to a Cross. No wonder he asked the Father if there was no other way – and ALL for us. This entry was posted in Bible references, Church leaders, John Wesley and tagged Humiliation, Hurt, Jesus, John Wesley, Paul on June 12, 2013 by Anabel @ The Glasgow Gallivanter. Michael Ramsay was greatly loved within and beyond the boundaries of the Church of England. He was a gifted scholar. He would require special skills of leadership to become an Archbishop. The high office to which he was appointed gave him a privileged position in the pecking order of high society in Britain. In the eyes of many there was an element of eccentricity about him. Cartoonists certainly appreciated the large eyebrows over which he never seemed to be in control. In retirement he was to be seen on the streets of Durham with a perpetual smile on his face. You thought he was about to speak to you. One young couple met him and returned the smile. They weren’t disappointed. “Isn’t it nice to be in Durham” he said as he continued on his way. Robert Runcie in a Foreword to a book about prayer written by Archbishop Ramsay says, ‘ It is a consolation and encouragement to a present Archbishop that one of his predecessors, after decades spent at the heart of ecclesiastical administration, is able to produce a work like Be Still and Know. The style is as serene as the title. It has an authentic, apostolic simplicity.’ A tremendous compliment, but to those who heard Bishop Ramsay speak about prayer, particularly during his freelance days of retirement, Dr Runcie’s tribute is to the man Michael Ramsay was in himself. He was not the exposition of a theory. He spoke a personal testimony. His life radiated a humility and a serenity ranking him with the saints of whom he delighted to speak. No doubt above all else he recognised that the Christian prayer and the Christian life are properly inseparable. This entry was posted in Church leaders, Church of England, Michael Ramsay, Organisations and tagged Church of England, Michael Ramsey, Prayer, Robert Runcie on April 10, 2013 by Anabel @ The Glasgow Gallivanter.